Japanese Pokémon trainer Shoma Homami has been crowned 2015 Masters World Champion. The 2015 Pokémon World Championships were held in Boston this week, and were thankfully free of incident following the arrest of two attendees on firearms charges. This year a Japanese player may have taken the masters division of the video game championships, but the home team had a couple of wins, too. Patrick Martinez took out the senior TCG division, and Jacob Van Wagner was the winner of the masters TCG division. Canadian Rowan Stavenow was the junior TCG division winner. In the video game divisions, another Japanese player, Kotone Yasue, took out the junior crown, while British contender Mark Mcquillan won the seniors. 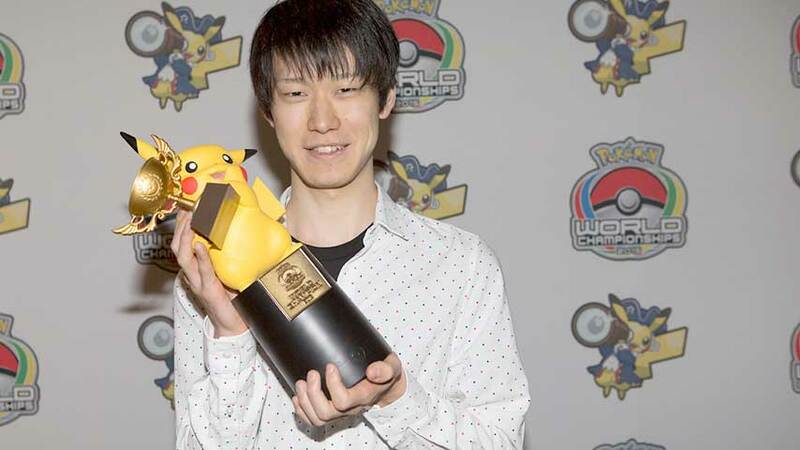 The tournament capped a year-long series of qualifiers, and the grand prize winners scored the title of Pokémon World Champion, scholarship money, won an invitation and travel award to the 2016 Pokémon World Championships, and a Pokémon World Championships trophy featuring Pikachu. More than 5,000 visitors from over 36 countries attended this year’s event, with 1.5 million viewers watching livestreams. You can catch up on the action via the recap video or browse the full list of winners and runners-up below. A full replay will be available next week. Congratulations to all winners – and also to all those who won through the many qualifiers this year. You are all champions.